Junior version of style T2974. 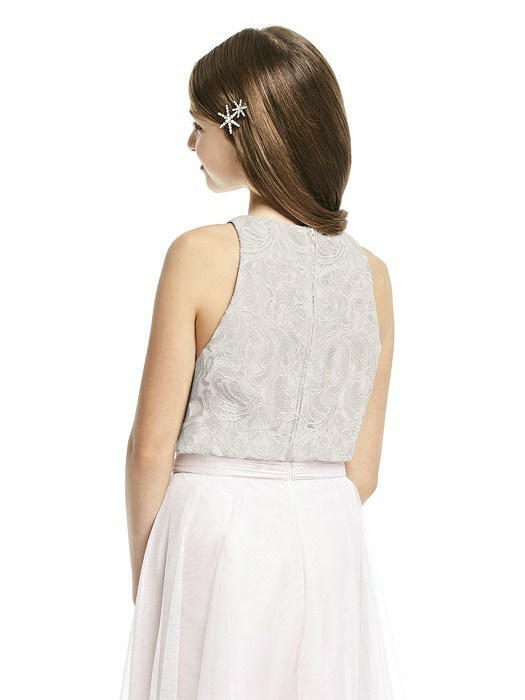 Sleeveless jewel neck classic lace over lining cropped top. Available any color classic lace over any color lining. (Skirt sold separately). Chest and waist measurements are important when choosing a size for this style. Fit Tip: Chest and waist measurements are important when choosing a size for this style.